GDC: Are Microsoft, Epic Getting Their Gears Turning? 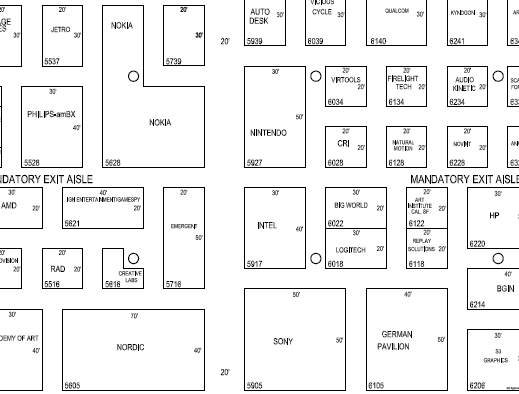 A quick look at the floorplans of the 2008 Game Developer Conference reveals that Microsoft and Epic have secured the two biggest floor spaces. With the largest exhibit at the event, taking up 4,800 square ft of space, Microsoft will certainly have a bigger presence than in previous years, when Sony and Nintendo got the biggest areas to utilize this professionals-only game industry conference as a pre-E3 event. Only second in size to Microsoft’s space, Epic Games’ presence at the event isn’t surprising at all, since the developer always uses GDC to show the latest Unreal Engine technology. Furthermore, both companies’ spaces are in front of each other in the first level of the Moscone West Hall. This last detail wouldn’t matter if wasn’t for the fact that the two companies worked closely on Gears of War. After the listing of Gears of War 2 on Amazon.com and today’s unveiling of "Gears of War: The Pendulum Wars", we are starting to believe that the size and location of Microsoft and Epic Games’ areas at GDC are not just a mere coincidence. We contacted Epic Games to ask about the recent Gears of War fuss, as well as its area size and proximity to Microsoft in the Moscone Center. Mark Rein limited his response to the company’s presence at the event to support Epic’s engine business. 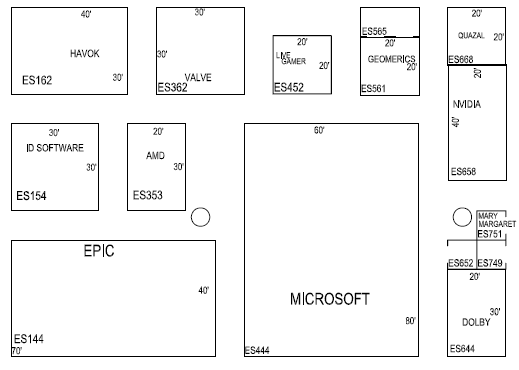 Microsoft and Epic Games have the largest booths. Nintendo and Sony' booths shown below for comparison.